Birchwood at Brambleton is a 55+ community coming soon to Ashburn, Virginia. 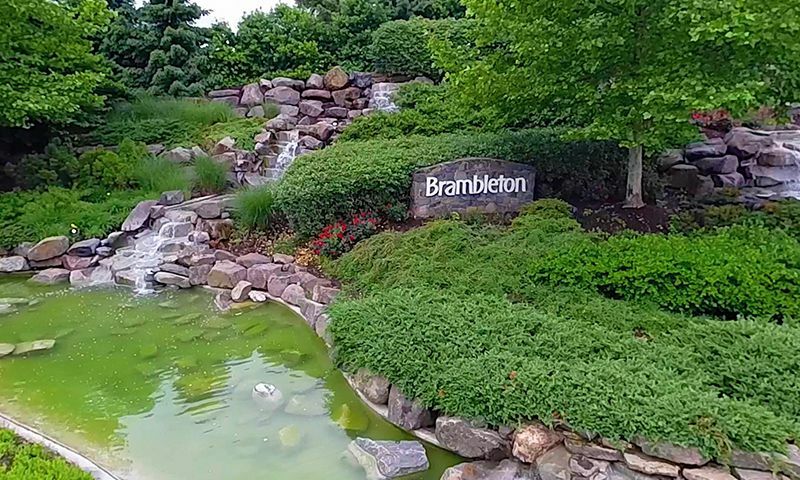 Set amidst the sprawling Brambleton master-planned community, this age-restricted community will have 1,502 homes upon completion and will boast amenities exclusively for the use of the 55+ population as well as the impressive facilities found throughout Brambleton. This community is being developed with an eye towards outdoor recreation and will feature amenities meant to support an active lifestyle in a beautiful environment. Van Metre Homes as well as Miller & Smith, and Winchester Homes, the home builders of this 55+ enclave, have a reputation for creating beautiful neighborhoods in the Washington D.C. area and Birchwood at Brambleton will feature their attached and condominium homes. A private clubhouse is currently being planned in this 55+ community and will provide all the amenities necessary to live an active and social lifestyle. Homeowners can pick up a new hobby in the arts and crafts studio or join a club in the multi-purpose room. There will also be plenty of ways to enjoy the warm summer months with the outdoor pool and patio. Staying in shape will be easy with walking and biking trails that weave throughout the community's series of ponds and parks. Outdoor social spaces will include a picnic and gazebo area, community garden, and fishing pier. Birchwood at Brambleton is being built by Van Metre Homes, Winchester Homes, and Miller & Smith, all reputable builders specializing in communities in the Washington D.C. area. Although final floor plans have not been released yet, homebuyers can rest assured knowing that their dream home is being built by a respected developer. Once complete, the neighborhood will contain attached and condominium units. Staying active in this 55+ community will be easy with planned events like cooking classes, technology classes, and farmers' markets. Residents here will also love the convenience of living off Route 267 and being 10 miles from Dulles International Airport. The surrounding area also has restaurants, a Home Depot, and banks. World-class entertainment and attractions are in nearby Washington D.C. and Baltimore. Birchwood at Brambleton will be a great active adult community in Northern Virginia. Request more information on the progress of Birchwood at Brambleton! There are plenty of activities available in Birchwood at Brambleton. Here is a sample of some of the clubs, activities and classes offered here. Although final floor plans have not been released, homebuyers here can rest assured that their residence will be built by renowned developer Van Metre Homes. Birchwood at Brambleton will contain 846 condominium units once complete. Please Note: Floor plans are not available at this time. Attached Homes - Coming Soon! The attached homes will provide low-maintenance living in a close-knit setting. Respected homebuilders Winchester Homes and Miller & Smith are building these attached homes. Please Note: Floor plans are not available at this time. Single Family Homes - Coming Soon! 55places.com is not affiliated with the developer(s) or homeowners association of Birchwood at Brambleton. The information you submit is distributed to a 55places.com Partner Agent, who is a licensed real estate agent. The information regarding Birchwood at Brambleton has not been verified or approved by the developer or homeowners association. Please verify all information prior to purchasing. 55places.com is not responsible for any errors regarding the information displayed on this website.